It’s not just our closet that could use a revamp around this time of year. 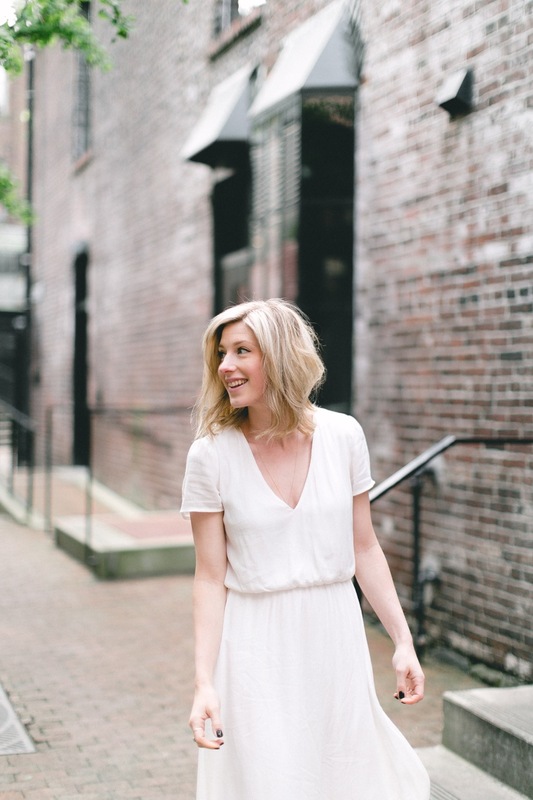 An easy way to create a fresh new look is through accessorizing with the latest trends! 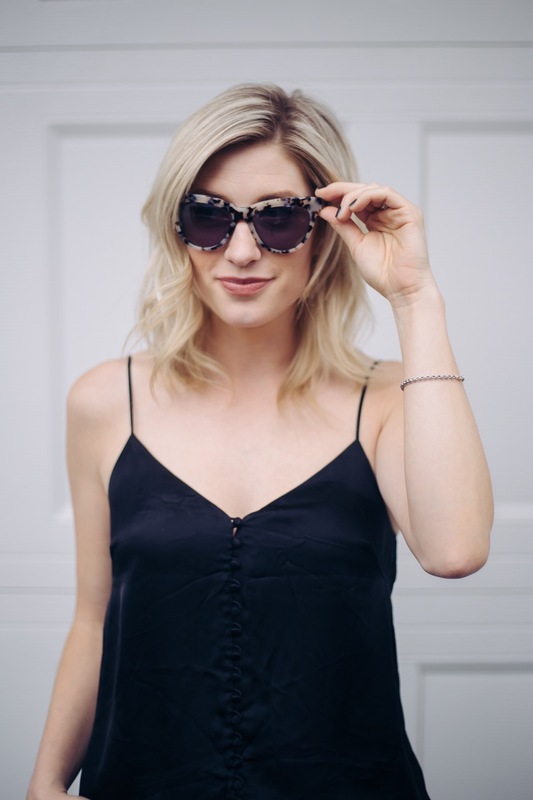 I’ve teamed up with Clearly to talk eyewear trends for the season, and there is something for everyone’s style! Clearly recognizes the demand for fashionable looking frames. We are now in an era where people enjoy wearing glasses, and use it as a way to express their personal style. I wasn’t sad in the least at my last eye exam when I found out I needed glasses for distance. In fact, I was pretty excited! 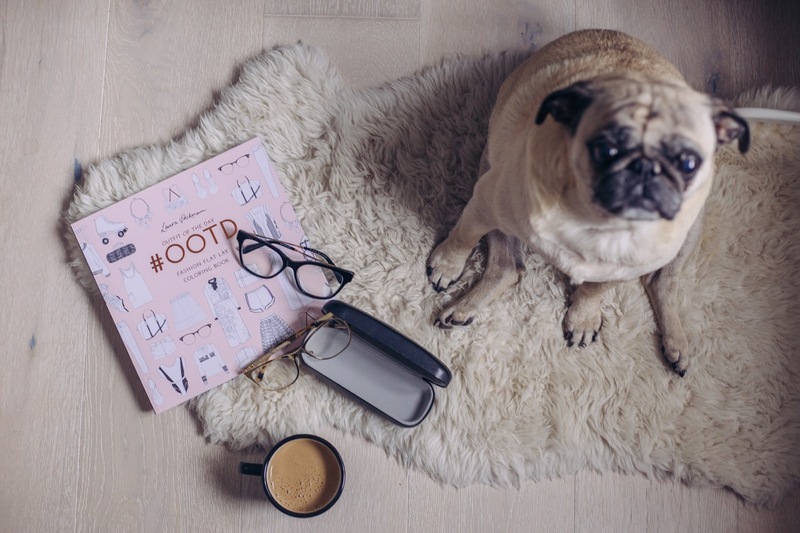 Clearly carries both designer frames and a collection of exclusive brands, all of which have their own unique aesthetic. They combine both beauty and functionality. 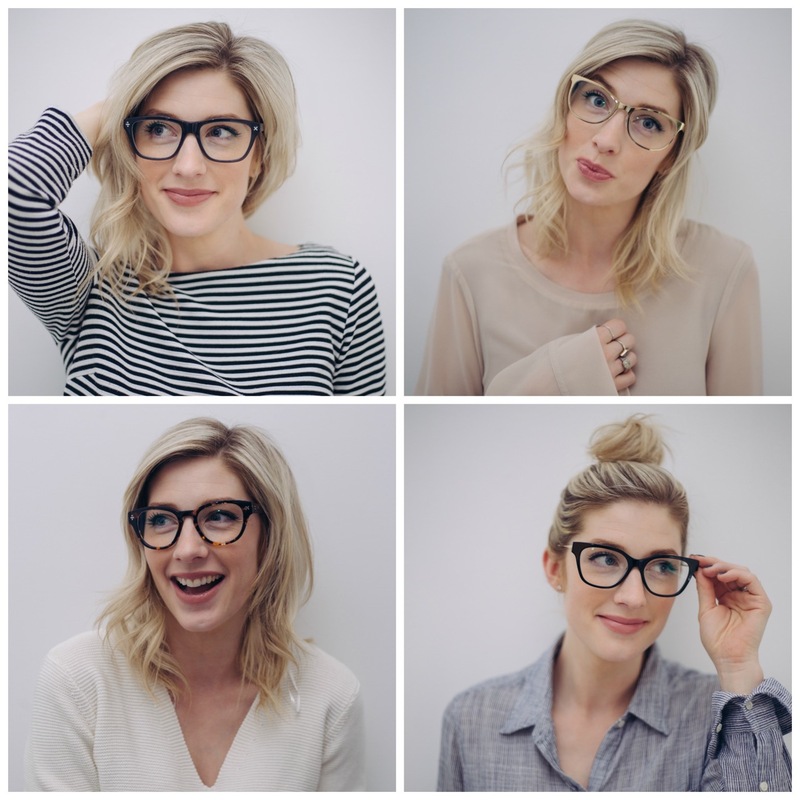 Top left: Derek Cardigan Frames in 7017 Shadow – For the geek-chic. A huge trend in eyewear that continues to stay strong. From A-listers to influencers, the inner geek shines through with this bold look. Switch out the classic black and try a different colour! This gorgeous dark grey colour pairs so nicely with other neutrals. Top Right: Kam Dhillon Chloe in 3076 Gold – Sophistication & Class. For the fashion-forward modern woman. Metallic accents add a glamorous feel to your look! We promise this stand out style while turn heads 😉 Take these lightweight gold frames from day to night! Kam Dhillon Sonata in Black – A touch of elegance. 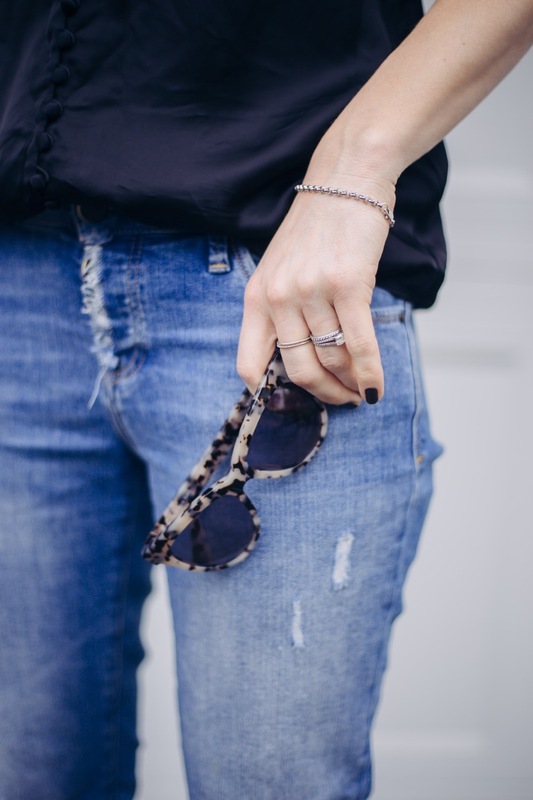 A twist on the classic black style, these have gold wire-thin frame arms to add a feminine, sophisticated element. The shape compliments the face, while still incorporating that retro, fashionable look. Whether it’s your nine-to-five or your weekend wear, these frames can be paired with any outfit! Derek Cardigan in 7012 Brown Tortoiseshell – A twist on vintage. Tortoiseshell print is a great way to accessorize with a subtle pattern. These rounded frames with a retro wingtip immediately create a signature look. You can keep everything else in your look simple and make your eyewear your statement piece! Want a new pair of frames??! 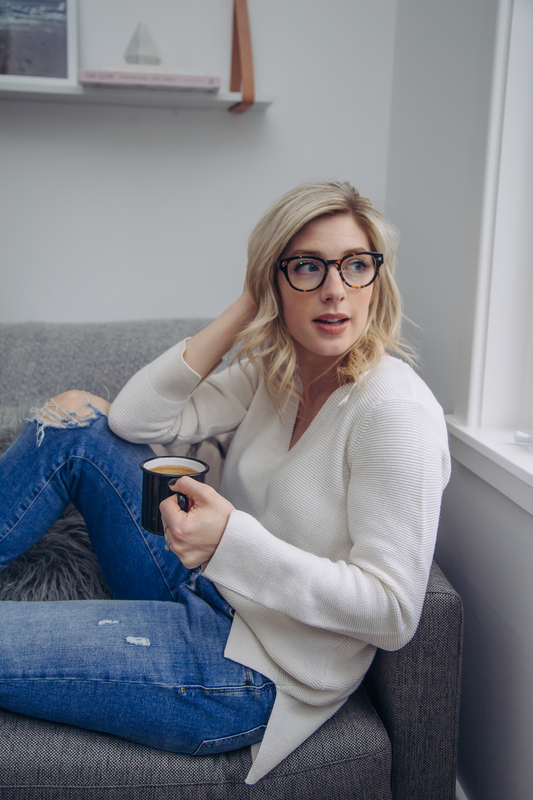 Enter to win a pair of exclusive brand frames with lenses of your choice from Clearly! Open to Canadian residents only. Enter below! Contest ends Thursday, April 6th!